As part of the Electropop Collection released this past spring 2012, Make Some Noise will get your attention. 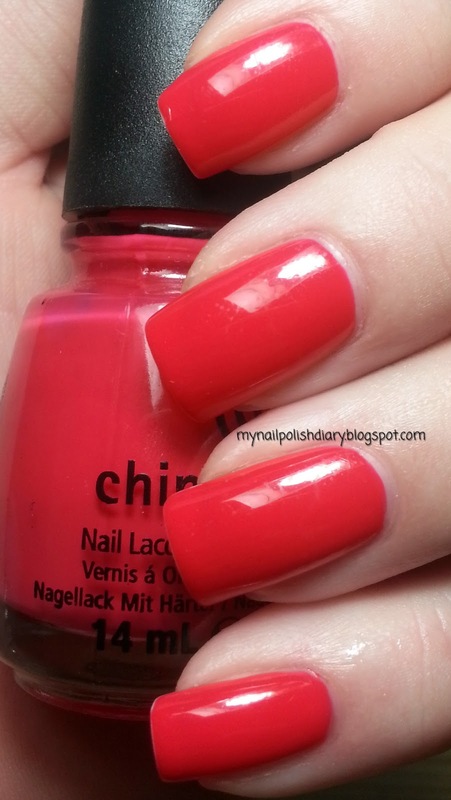 China Glaze Make Some Noise is a bright orangey red jelly like creme. It's bright orange without being obnoxiously bright. It's got a squishy shiny look like a jelly but the opaque coverage like a creme. The best of both! China Glaze is one of my two favorite brands. The only one I like as well as China Glaze is OPI. There are lots of good polish brands out now, but China Glaze is in the top for their awesome formulas and overall quality. You have beautiful nails! I'm also kicking myself for not picking this one up last year! !